Well summer is well and truly here isn't it?! I'm typing this while congratulating myself for surviving the hottest day of year (so far) and not doing what I wanted to do, which was stay home in my underwear, cursing the sky. 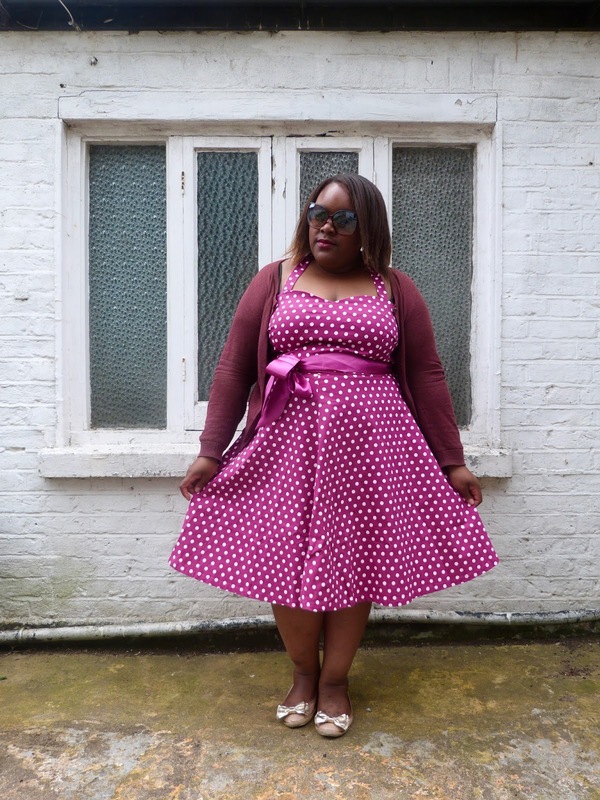 However, hot weather means there is a perfect excuse to bust out some of your best summer dresses, and this 'Penny Full Circle Polka Dot Dress' from Dolly and Dotty is ideal for getting through a hot day. 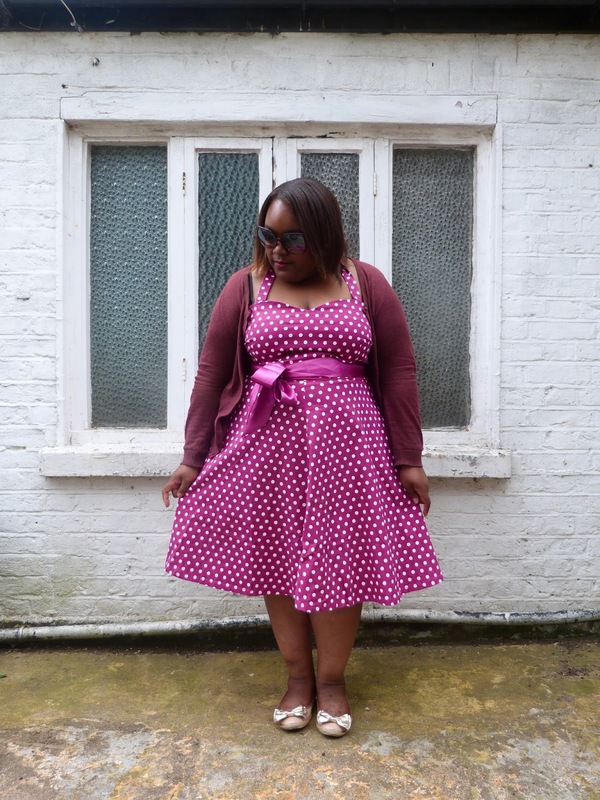 If you didn't catch Pt.1, Dolly and Dotty asked if I would like to review a couple of their dresses, and being a self-confessed polka dot addicted, I fell in love with this gem and couldn't wait to try it on. I don't tend to wear pink, but this dark pink worked with the white polka dots as it broke up the otherwise block colour really well, and the darker shade meant that I didn't look like a grown up 5-year old (even-though that's really what I am!). Like the first dress, I didn't have to size up as the dress is super roomy around the waist and bust, but handily, it came with a matching polka dot belt and plain belt, which is what I decided to use, as again, it helped to break up the pattern a bit. My only gripe is that the seam on the circle skirt runs right down the front of the dress; although this doesn't ruin the dress, I wish it wasn't showing in such a prominent area. However, it won't stop me from wearing this pink number during the summer, and I look forward to styling it differently the next time I wear it. KEY: Symbol * denotes a gifted item. Symbol ^ denotes an item no longer available. 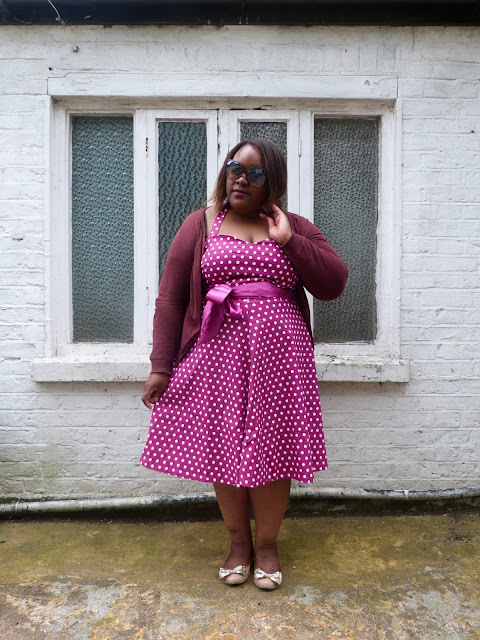 well, this pink with white dots dress is looking very hot on you. you are such a nice lady with kind heart. 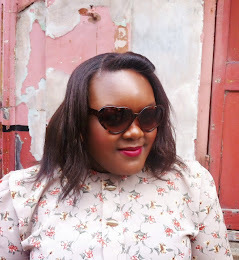 the sunglasses is necessary i know in summer but you can wear brown glasses for change.